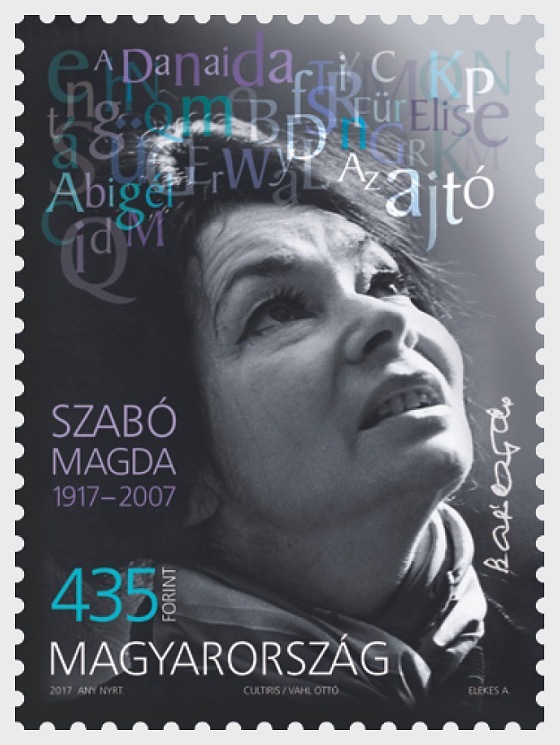 Magyar Posta is issuing a commemorative stamp in honour of the centenary of the birth of the writer Magda Szabó (1917-2007). 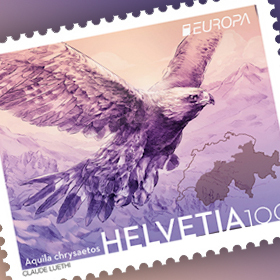 200,000 copies of the stamp designed by the graphic artist Attila Elekes were produced by ANY Security Printing Company and will be available at first day post offices and Filaposta in Hungary from 5 October 2017, but may also be ordered from Magyar Posta’s online store. Magda Szabó was born and studied in Debrecen, where she finished school in 1935 and then obtained a teaching and arts degree in Latin and Hungarian at the University of Debrecen in 1940. She began teaching in the same year, which she did for two years in her native city and then for three years in Hódmezővásárhely. Between 1945 and 1949 Szabó worked for the Ministry of Religious Affairs and Education. She explored her talent in almost every area of literature. First she published volumes of poetry, later won a reputation with her novels and then reaped success with her works for stage. In 1949, the year her second volume of poetry (Back to the Human), was published, she won the Baumgarten Prize, but the award was immediately withdrawn and she was dismissed from her job. She was silenced by the authorities and not allowed to publish for almost a decade. The works she produced in this period could only appear later. Her transition to writing novels can be dated to this time. Her novels Fresco and The Fawn, published in 1958 and 1959 respectively, brought her to the attention of a wider audience. From 1959 she was a freelance writer. One work followed another, in which, using the traditions of the psychological novel, she formed characteristic figures. Her autobiographically inspired works are The Ancient Well (1970) and Old-Fashioned Story (1971), which give not only an insight of the influences of her childhood forming her approach to writing but also a palpable, genuine account of the past and everyday life of Debrecen in that period. Her children’s and youth novels, Tell Young Sophie (1958), Island Blue (1959), and Lara the Fairy (1965), are fascinating and thought-provoking reading for all ages. Magda Szabó was awarded almost all available prizes during her lifetime including the Kossuth Prize in 1978 and the French literary prize Femina in 2003 for her novel The Door (1987). She was a member of the European Academy of Sciences and the Széchenyi Academy of Literature and Arts, and was awarded the title of honorary citizen of Debrecen and Budapest. Another of her well-known novels, Für Elise, was published in the 21st century, in 2002. This was also a work with autobiographical overtones, relating the story of a girl from birth until she left school. To this day she remains one of the most translated Hungarian authors. 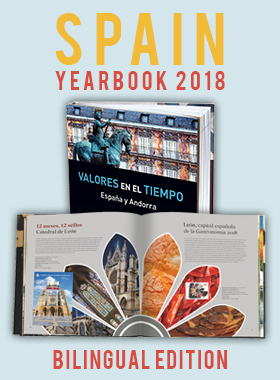 The Door has been translated into over forty languages and in 2015 appeared in the list of the ten best books of the year of The New York Times. 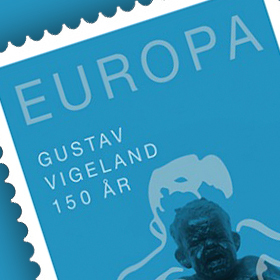 Her works ensured her pre-eminent place in Hungarian and world literature.